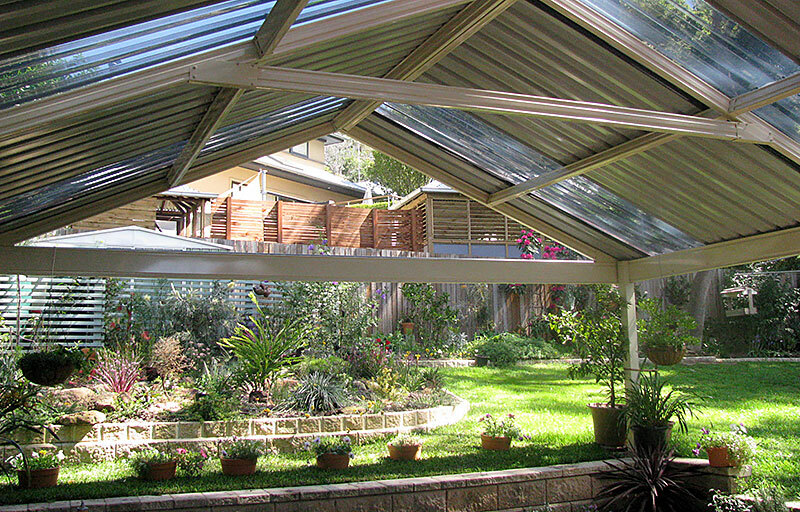 Colorbond Carports North Shore | Pergola, Awning & Patio Builders Hornsby . Franklin Carports & Awnings is a family owned business with over 40 years of experience. 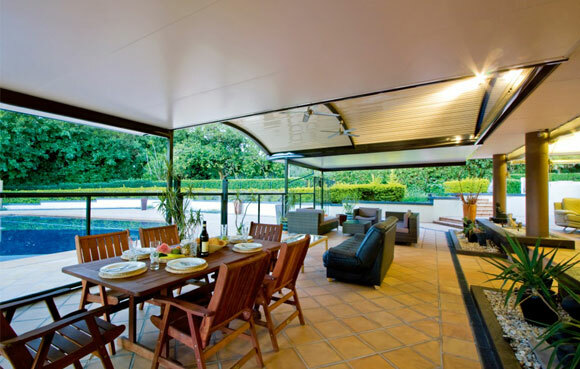 As a trusted and reliable retailer of 100% Australian-made steel, Franklin Carport & Awnings are dedicated to providing beautiful and sturdy carports, awnings, pergolas and insulated roof systems, each bundled with a 10 year structural warranty. Constructed using steel and materials from some of the world’s most well known companies, such as Stratco, Bluescope Lysaght, Carbolite Awnings and more, our Carports are available to suit single, double and large carport spaces. A personal quote and design is provided, allowing you to customize your design and vision. Available in a range of deep and rich colors, our patios are reliable and durable, providing relief for years to come. Each patio is made with care using the best materials that Stratco, one of the world’s must trusted brands, has to offer. Franklin offers these patios in a flat, a bullnose or a gable style. 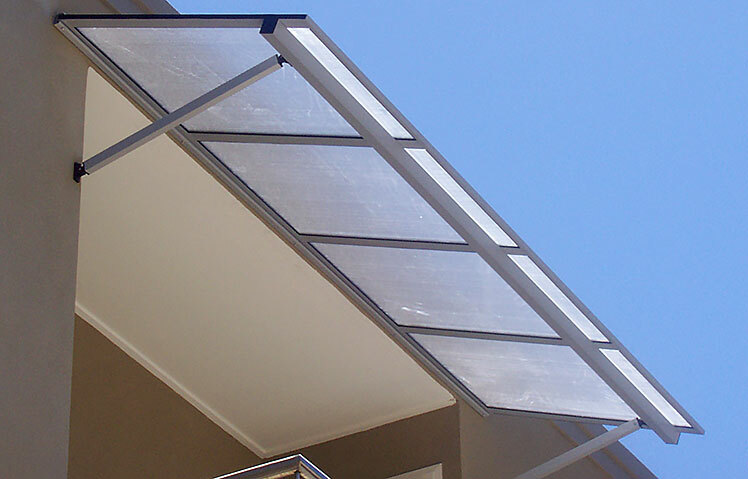 Find relief from the beating sun today with a Custom Built Awning, designed specifically to suit your needs. Available as a flat, bullnose, domed or pitched style, these awnings are 99.9% UV protected, letting the light in but keeping the heat out. 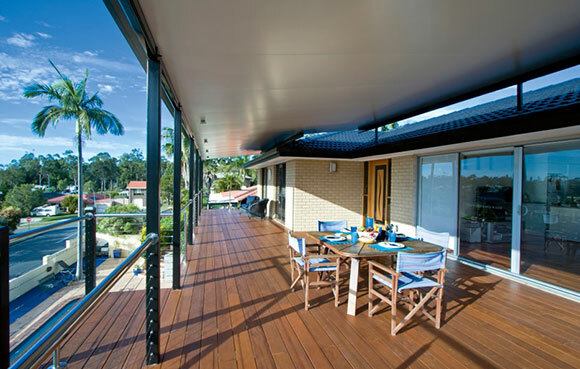 These awnings are created for durability and reliability using the trusted materials from Carbolite Awnings, one of Australia’s most trusted brands. Franklin Carports & Awnings offer a variety of other products, such as Pergolas, Commercial Carports, Timber Pergolas, Insulated Patio Covers and more. All of our products are supplied by some of the world’s most trusted suppliers. Including Stratco and Carbolite Awnings. We understand that your home is one of your greatest assets, and we’re simply here to make it better. As a family owned establishment since 1963, we understand the importance of each job and provide detailed and personal attention to each client. We will work with you closely until you are fully satisfied with our services. 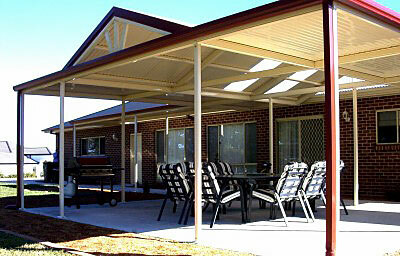 "Stuart from Franklin Carports has recently built a carport for us. He conducted both negotiation and the actual construction in solid businesslike manner. The carport neatly fits into our frontyard, and the price was fair. Highly recommended." We provide free quotes with absolutely no obligation to buy. Each quote is returned within 1-2 days, allowing you to quickly and comfortably move towards the transformation you’ve dreamed of for your house. We understand the importance of personal and detailed attention. As such, we promise a comfortable, relatable and smooth experience if you choose to work with us. We will work closely with you to help you find the look you have been searching for. All of our products are created using the trusted materials from companies such as Stratco and Carbolite Awnings, supporting the local economy and helping to fund thousands of jobs. As a client of Franklin Carports & Awnings, you can help us give back to the community. The westerly facing aspect of this home required a sun shade that not only looked great, but was functional against the elements. 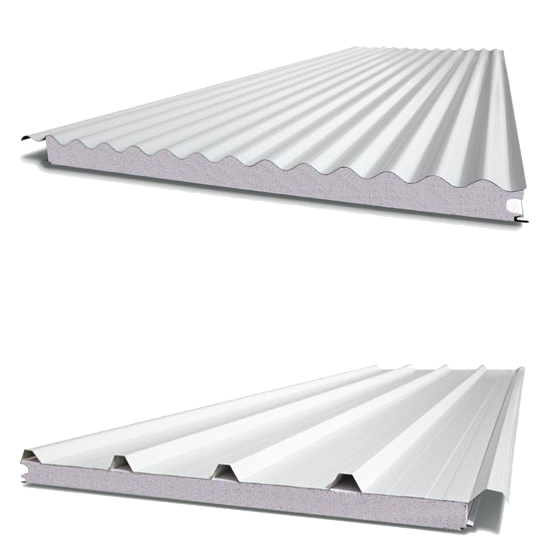 Using Bluescope Colorbond steel, these roof sheets are guaranteed to be durable, reliable, safe & feature a 10 year structural warranty. The pitched roof of a Franklin Carports & Awnings Gable Patio features an open feel that will enhance your home and outdoor living area. As the owner of Franklin Carport & Awnings, Stuart has an answer to every question. Feel free to contact him below to learn more about him, the company, & the products. Franklin Carport & Awnings provide a 10 year structural warranty bundled with each and every product, so you can rest assured that you custom built product will last for years to come. By working with Franklin Carports & Awnings, you will be boosting and supporting the local economy. To thank you, we do our absolute best to provide unforgettable service at all times. We haven’t forgotten who it is that keeps us in business. As such, we work closely with you to bring your vision to life. Each design and decision is made with confidence, allowing the freedom to design as you would. Our vision is simple – to provide outstanding service while designing and constructing custom and gorgeous products that will add greatly to the environment of your home. We will do everything we can to make this happen! Our local community has supported us throughout the years, providing work, jobs and satisfaction as we strive to bring beautiful additions to homes. To show our appreciation, we always do our best to offer you the absolute best prices available. Whether you’re looking for a carport, and awning or anything in-between, we promise to provide an accurate quote and work accordingly. All of our quotes are obligation-free, meaning that there are no hard feelings if the offer is not taken. When you shop with us, you can rest easy, assured that you are working with an honest and trustworthy business owner who simply wants to give back to the community he cares for and loves so much. Franklin Carport & Awnings has long been known for their meticulous attention to detail, assuring that each and every aspect of your design, customization and installation is simple, affordable, easy and completely satisfactory. As a family owned and operated business, our personal service provides a reliable and smooth experience. Working directly with the owner provides relief, comfort, allowing you the assured satisfaction that comes with working with Franklin Carports & Awnings. Our 5 Star rating proves that we mean business. Our job isn’t complete until you are completely and utterly satisfied. Get your free quote to experience the beauty and enjoyment that can come from working with Franklin Carports & Awnings. Franklin Carports & Awnings is a family owned and operated business dedicated to providing unparalleled service and guaranteed satisfaction. As the owner of Franklin Carports & Awnings, Stuart deals closely with each and every client, providing his professional advice and opinion in addition to the client’s dreams, vision and thoughts. Stuart works endlessly to give each client full satisfaction, and does not stop until the job is done right.